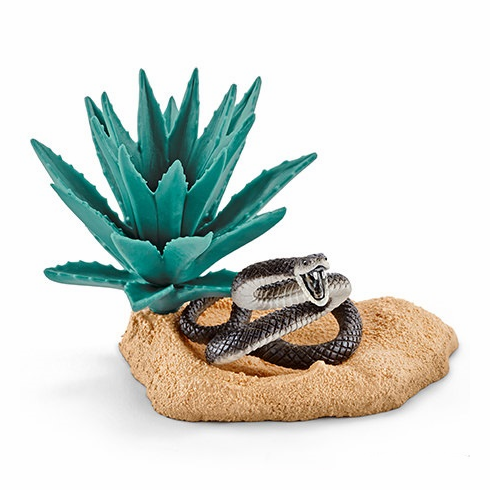 Schleich - Black Mamba Nest. Black Mambas are capable of crawling up to 20 km/h. However, they are more likely to flee than hunt because they are ambush predators that creep up on their prey. When a black mamba feels threatened, it raises its "upper body", opens its black mouth and hisses. Those who don't leave it alone and retreat slowly will encounter its fangs. And not just once. Unlike most other snakes, black mambas bite up to twelve times.